If you were thinking about getting the 32GB SSD from Eee 1000 to another Eee, you shoud note that it's not good for OS use, but pretty fast on reading..
8GB one would be good on my 901.. hmm.. I got a word that they both ( 8BG and 32GB on Eee 1000 ) cost about $100 ..
That last picture shows the different sizes. I would love to have a small 8 GB for my 901. 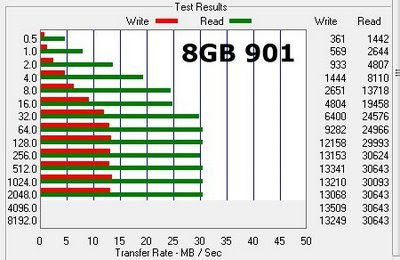 Would it be too optimistic to think that 8 GB SSD inside the new 900A is the same 8 GB SSD as inside the 1000? If that was the case, 900A wouldn't be as slow as 900 16G, right? could you tell me please what kind of program do you use for the testes? 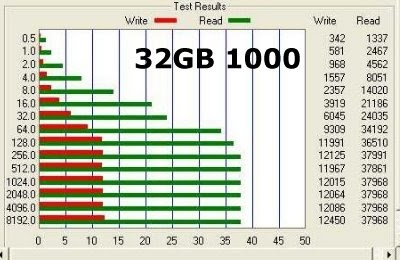 Have you tested the buffalo-ssd yet? When will we read something about it? 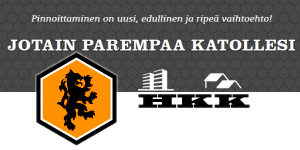 Can´t wait to get informations. Yes please, have you got any news about testing the 32GB and 64GB SSD from Buffalo? Any benchmark for the 16Gb SSD in 901 linux? Do you know why SSD benchmark results are markedly affected by the ASUS super hybrid engine settings ? for some reason i thought the internal ssds were soldered onto a board. 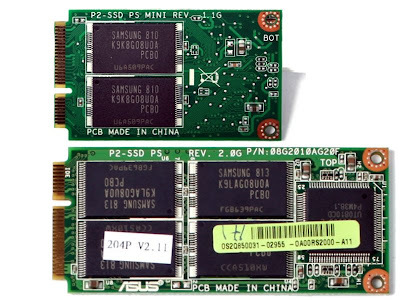 so there are two mini pci-e modules in these laptops? im waiting on your ZIF to mini pci-e adapters? any update on that? thanks alot jkk. Minna, I'm always optimistic, but the we will have to wait..
Buffalo SSDs or not yet here..
ASUS super hybrid engine changes the bus speed of the SSDs too.. so on faster settings SSDs are faster too. Medah, older Eees had soldered 1st drive. 700 and 900..
What's better, SSD or HDD? I am think of purchasing an EEEPC 901 (XP Edition) and then upgrading the SSD storage so that I can install Vista on the new SSD rather than the internal 4GB one. I'd really appreciate some advice regarding which SSD to purchase and whether it makes sense to install the OS on it in a 901.
if you buy a faster ssd for 901, you can install Vista on it. go for fastest if possible as Vista writes a lot. Thanks for the advice JKK. Which SSD would you recommend? I'm thinking of installing Home Basic rather than Premium version of Vista. Will that make a difference? Are there any other tips you can provide? It all really depends on your needs.. do you need much storage and do you want as fast as possible..
MyDigital 32GB or 64GB MLC could be good for storage if you don't need the speed.. Cool. So in effect, if I don't need storage...I could install Vista on the 16gb SLC SSD? Would that cause any potential problems in the future? What would happen to the integrated 4gb? Will that mean I have a dual boot XP/Vista system? 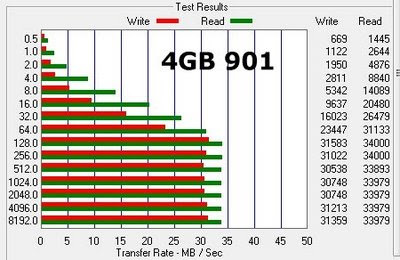 One more question to go with the last two; how does the speed of the SLC chip compare to that of the integrated SSD? In the 901 user forums they mentioned using something like nlite to trim vista as well, and they quoted final trimmed vista installs of as small as a couple gig. Definitely worth looking into since you will be installing from scratch anyhow. I was worried about using junctions or nlite for my XP 901, but it came with sp3 installed and 1.3 gig free after I did basic cleanup. I'm still very glad there will be fast slightly larger ones available for reasonable prices. 4 gig is a bit small for a primary partition these days, and I'll have to keep an eye on install locations and temp folders. I'm sure I will be upgrading sooner or later. 16GB slc could be good for vista, only thin in future would be the need for more storage..
on paper, those new ssds are faster than 4gb internal one.. 34/31 vs 45/41, but i will test as soon they arrive. I dont know if this is the right place, JKK or any one else, wanted to know, iv just brought the linuxx version of eee pc 1000 and have installed xp. iv just forgotten how i get the D: drive to show up? 32GB storage ssd. where do i go? Mo, go to control panel, admin stuff, computer management, disk management..
delete the 32GB partition, make new and format. How much space on the smaller SSD does the default OS take up? I'm planning to get a eeepc 1000, but i'am really wondering if both of the ssd are speed enough...let's say comparing to the 900A ? I don't need to install vista, but only xp (and maybe an OSX86 as I did on my PC), and i'll be using it for internet, divx and stuff...but I have good computers at home and I get really nervous when PCs aren't booting, reading or writing quick enough...That for me one of the good aspects of getting a netbook. If these ASUS ssd are cheap ones, is it smater to buy the 1000H and a good 2"5 HD or SSD to replace the existing one, or to get a 1000 and only replace the data SSD ? Anyway, my last question about getting a 1000 or a 1000H to replace the drives is still up. If you need more than 8GB for OS then you should buy the HDD version. I like SSDs more as i have broken too many HDDs on mobile computers. What about acces time, one of the major asoects of SSDs ? Is there any difference other than slightly slower speeds? 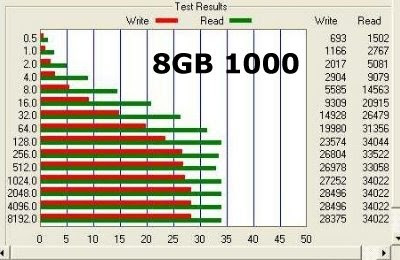 It looks like ASUS makes at least one of these SSDs, is that correct? Also, who makes the controller, it's covered up by the label. The system is slower now and I was wondering which of the above I should leave in the internal 4GB SSD for the system to run faster. Are there any specific prigrams that should be left in the internal SSD together with the OS? You should probably keep Documents and Settings in your faster drive. This folder gets read and written over alot. This folder should remain under/around .5GB as long as you move My Documents away and keep the Desktop clean of downloaded files (my bad habit ;) ). Hi Jkk, could I install a 8gb ssd removed from a eee 1000H and place it on the 901 PCI-E (removing the original 12gb unit)? would the system recognise 2 master disks, or this 8gb unit would automatically be detecte as slave? 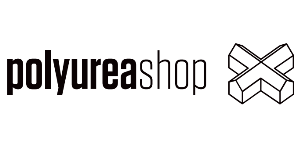 thanks and keep the up good work! can linux 40G version of 1000 be easily reinstalled to XP?